“When we play music together, we discover that common root that unites us all. And jazz is my special vehicle that helps me get to the root, and also to discover and wander around new territories where my creativity takes me, mixing an African riff with a theme from Bach, or with an incantation coming from who knows where, or even maybe with a doina. They are all faces of the same crystal”, said Teodora. 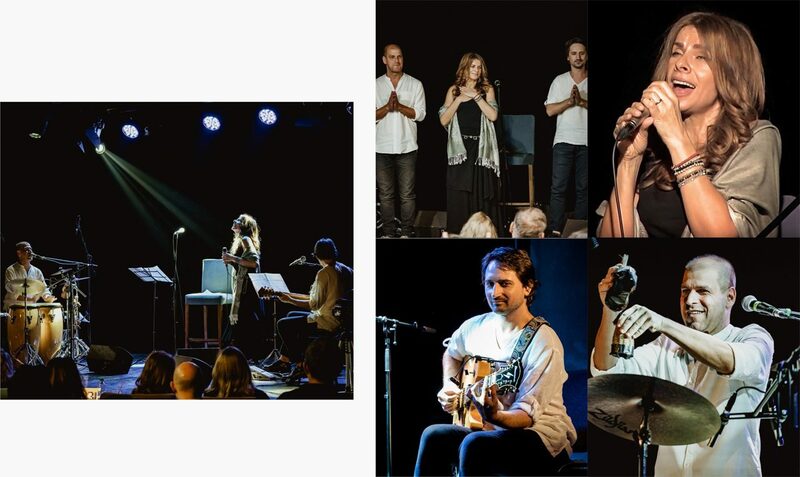 For the past few years, Teodora has been exploring in depth, in her concerts and compositions, the ritualistic value of music, as well as its unique ability to create privileged bonds between people and to make them perceive the common root that unites us all. Teodora includes the concept of ritual in her new show -All about Joy, offering her audience the link towards the gift of joy through music. The project “All about Joy” includes Teodora’s compositions, as well as a few songs from a variety of musical genres. The spirit of jazz, “which is multifaceted, just like a crystal, and very much alive” becomes thus the musical language that pushes boundaries and allows her to merge classic jazz, blues, Latin rhythms and world music. In All about Joy show Teodora’s dialogue partners are Călin Grigoriu (guitar) and Joca Perpignan (percussions). Călin Grigoriu (guitar) is a complete, thorough and versatile musician, whose sound crosses over effortlessly from classical music to funk. Joca Perpignan is a percussionist born and raised in Rio de Janeiro, who’s got the rhythm is his blood, and whose fresh and creative approach to music brings color to any concert. The stage collaboration between the three artists keeps evolving and gives birth to surprising vocal harmonies that highlight Teodora’s emotions..